Arrington will use her knowledge and expertise from founding a non-profit to address the next generation of entrepreneurs during the Summit, which is a three-day conference, from April 11 to April 13, that provides students, educators and supporters from around the world with the opportunity to develop new skills while energizing their entrepreneurial spirit. The Summit allows for attendees to learn from world-class speakers, entrepreneurs and mentors. The topic of Arrington’s keynote speech is “We Need YOU Now! :The Importance of Youth Leadership in Entrepreneurship”. Her speech aims to change the narrative that today’s youth are the leaders of tomorrow, to today’s youth are the leaders of today. “There are so many ills in the world and we need your youth to be the courageous, outspoken, innovative leaders and problem solvers,” said Arrington. When Arrington was just a junior in high school she established herself as a leader and problem solver in her own right by founding ScholarCHIPS, a non profit that provides scholarships and mentoring to youth with incarcerated parents who hope to pursue a college degree. Having grown up in the Washington, D.C. metropolitan area, which has one of the highest incarceration rates in the country, and having had her own father imprisoned most of her life, Arrington knew firsthand how difficult it was to find scholarships. “I realized I had to do something to empower youth like me to go to, and complete, their college education,” said Arrington. Since then, ScholarCHIPS has awarded over $110,000 in college scholarships to 43 students. In 2015 Arrington graduated from Elon University with a bachelor’s degree in strategic communications and history. She has since attended Howard University as a master of divinity degree candidate within their school of divinity. 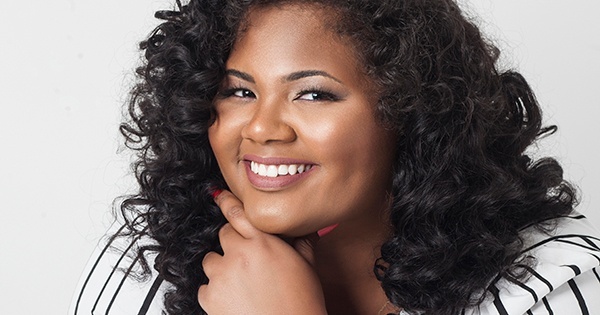 Last year Arrington was signed to TRUE Model Management as a plus size model. She is also an advocate for body positivity, aiming to encourage women to love themselves and to show people that confidence is beautiful. Throughout the years Arrington has received a number of honors and awards including the 2015 Peace First Prize, the BET Black Girls Rock! Make A Difference award, Radio One WKYS 2017’s Top 30 Under 30, Washington Redskins scholar and Miss District of Columbia Plus 2016. While modeling and running ScholarCHIPS, Arrington is also a radio talk show host with her own show on WERA 96.7 FM Arlington, the host of a podcast called “Millennial Minds” and a host of a cable television show called “I Wish You Knew”. Young entrepreneurs will have the opportunity to learn from Arrington as well as other keynote speakers including the founder and CEO of The League, Amanda Bradford and Editor in Chief of Entrepreneur magazine, Jason Feifer, at the Summit. Attendees will have the chance to engage in interactive breakout sessions on a wide range of topics, attend office hours for mentoring opportunities and speak with a variety of experts in the field of entrepreneurship. Workshops, breakouts and networking opportunities will run simultaneously with the final round of the Diamond Challenge, which is a competition for high school entrepreneurs from all over the world, offering over $100,000 in prizes. The Diamond Challenge is sponsored by Capital One and was ranked one of the top 29 best international business plan competitions by Alpha Gamma, a business portal for millennials.